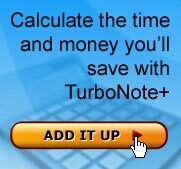 Our freeware version provides many of the capabilities of TurboNote+. If you'd like to see the difference, check out the comparison chart here. TurboNote+ instant messaging lets you instantly send messages and attached files straight to the desktops of your friends and colleagues over a local network or across the Internet. You can even chat directly via a TurboNote. You can use TurboNote freeware on as many computers as you wish without charge. You can give it to anybody, anywhere  even upload it to public FTP and Web sites! TurboNote freeware is sponsored  the sponsor's URL will appear from time to time at the bottom of a note. If you'd like to sponsor your own copy, take a look at our sponsor's information page.